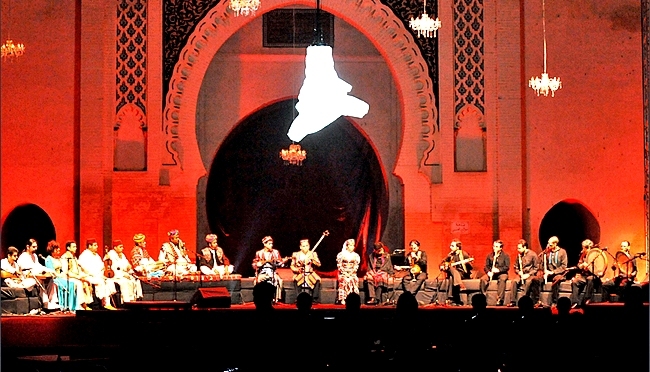 Magharebia, by Siham Ali (Fez, Morocco, June 19, 2013) – The Fez Festival of World Sacred Music wrapped up last week after eight days of events designed to promote openness and reconciliation between peoples. The event has become a must-see gathering for lovers of spiritual music and those who support diversity. The festival turns the country’s spiritual capital into a focal point for peace, dialogue and creativity, according to both the organizers and experts. This year, the 19th edition of the event wrapped up June 15th and attracted a constellation of artists from different parts of the world as well as leading thinkers who highlighted the need to promote a culture of acceptance. The French philosopher Edgar Morin raised the alarm by saying that diversity was increasingly threatened. To preserve it, he said, it was vital for humankind to show collective strength. That view was shared by the Moroccan Culture Minister Mohamed Amine Sbihi, who highlighted the need for the kingdom to realize the importance of diversity. A broad-based approach encompassing education, culture, the media and public life must be adopted if this goal is to be achieved, he said. “This will fulfill the desire to preserve national culture and openness towards the wider world,” the minister asserted. Morocco must make great efforts to foster a culture of tolerance and openness in the face of the various conservative movements that promote narrow-minded thinking, according to sociologist Samira Kassimi. To that end, the media must play a big role by broadcasting television programs that attract children and young people in particular, she argued, adding that the education system also has a major part to play. “Syllabuses which teach children the values of openness and diversity need to be included from nursery school onwards. At present, the efforts being made fall short of expectations,” Kassimi said. Political analyst Redouane Bachiri agreed that particular attention must be paid to promoting cultural activities. “Culture is an important way of fostering tolerance and tackling extremism. The Fez Festival of Sacred Music helps to spread many universal values among the population, especially young people. Through the various guests, the festival helps to bring civilizations and cultures together,” he said. He added that he would like to see more events of this kind being held, with pride of place to be given to children. Many members of the public value the festival highly. Hamza Raji, a young bank employee, has not missed it once in the past five years. He said the event was a clever mixture of spiritual music including Sufi chanting and debates about very important topics related to globalisation. “I am seeing more and more young people within my social circle taking an interest in this kind of cultural event,” he told Magharebia.